Time is a precious commodity that must be treasured. Such is the argument in Jonathan Edward’s piece entitled, The Preciousness of Time and the Importance of Redeeming It. The subject of time was no stranger to Edwards. He thought about the “improvement” of time often. Even in his famous 70 resolutions, he addressed the matter of time. profitable way I possibly can. It would serve us well, then, to consider the precious matter of time from Jonathan Edwards’ perspective. Jonathan Edwards states four reasons why time is precious. Because a happy or miserable eternity depends on the good or ill improvement of it. Time is very short, which is another thing that renders it very precious. Time ought to be esteemed by us very precious, because we are uncertain of its continuance. Time is very precious, because when it is past, it cannot be recovered. Edwards begins section three with a discussion of how people waste their time: “There is nothing more precious, and yet nothing of which men are more prodigal.” He demonstrates the kinds of people are who reproved for their negligence in this area. Those who spend a great part of their time in idleness. They are reproved by this doctrine who spend their time in wickedness, who do not merely spend their time in doing nothing to any good purpose, but spend it to ill purposes. Those are reproved by this doctrine, who spend their time only in worldly pursuits, neglecting their souls. Consider how much time you have lost already. Consider how time is sometimes valued by those who are come near to the end of it. Consider what a value we may conclude is set upon time by those who are past the end of it. Edwards concludes his piece by offering three encouragements with respect to time. Improve the present time without any delay. Be especially careful to improve those parts of time which are most precious. Improve well your time of leisure from worldly business. The notion of “improving” time is seen throughout the writings of Jonathan Edwards. He gave a great deal of thought to it and chose to live wisely in light of his discoveries. 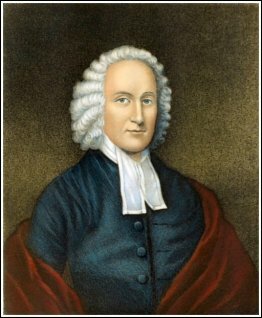 Indeed, Jonathan Edwards sought to “live with all his might unto the Lord.” By God’s grace he accomplished resolution # 5: Resolved, never to lose one moment of time; but improve it the most profitable way I possibly can. Next Post What Can a 509-Year Old Man Teach Us?